Brett E. Stanaland, M.D. is originally from Orlando Florida, where he graduated from the University of Central Florida with two Bachelor of Science degrees (Biology and Microbiology) and a Master of Science degree in Microbiology. He then attended the University of South Florida College of Medicine in Tampa, Florida where he graduated with a Doctor of Medicine degree in 1989. He completed three years of Internal Medicine training at the Bowman Gray School of Medicine of Wake Forest University and the North Carolina Baptist Hospital in Winston-Salem, North Carolina. He then returned to the University of South Florida where he completed a two-year fellowship in Allergy and Clinical Immunology and then completed a one-year fellowship in Clinical Laboratory Immunology. He then founded Allergy and Asthma Specialists of Naples in 1995. Dr. Stanaland is board-certified by both the American Board of Internal Medicine and the American Board of Allergy and Immunology. He is a Fellow of the American Academy of Allergy, Asthma and Immunology. He is a Fellow of the American College of Allergy, Asthma and Immunology where he currently serves on the CME committee. He is also a Fellow of the American College of Physicians were he was elected and served on the Governor's Advisory Council for Florida for several years. Dr. Stanaland is a past president of the Collier County Medical Society and has been chairman of the Department of Medicine for Naples Community Hospital. He is a Clinical Affiliate Professor of Medicine at the University of South Florida College of Medicine in the division of Allergy and Clinical Immunology teaching fellows, residents and some medical students twice a month since 1995. Dr. Stanaland has authored numerous articles in many medical journals including Clinical Therapeutics, International Archives of Allergy and Applied Immunology, Allergy Proceedings, Journal of Allergy and Clinical Immunology among others. 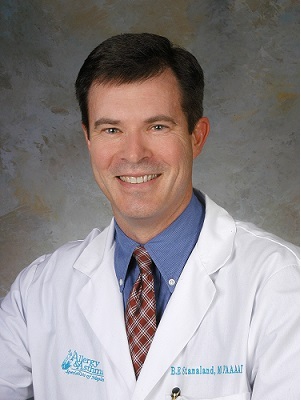 Dr. Stanaland maintains staff privileges at Naples Community Hospital and North Collier Hospital where he is currently Chief of the Division of Allergy and Immunology for the Department of Internal Medicine. 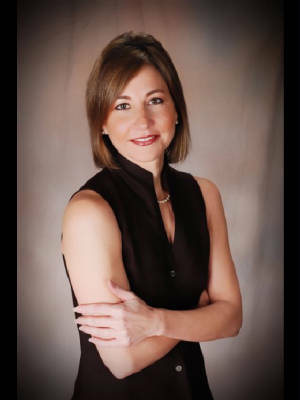 Maria T. Olivero, M.D. graduated from the University of South Florida with a Bachelor of Science Degree in Microbiology in 1986. She then attended Temple University School of Medicine in Philadelphia, PA and graduated with a Doctor of Medicine Degree in 1990. After completing a three year Pediatric residency at Saint Christopher's Hospital in Philadelphia, PA she returned to the University of South Florida in Tampa, FL. There she completed a two year Fellowship in Allergy and Clinical Immunology in 1995. Dr. Olivero is board-certified by both the American Board of Pediatrics and the American Board of Allergy and Immunology. She is a Fellow of the American College of Allergy, Asthma and Immunology. She has practiced in St. Petersburg for over 21 years before joining Allergy, Sinus and Asthma Specialists of Naples. She is fluent in both English and Spanish and is currently accepting new patients.